Why grassfed? Independent research has determined that there may be many health benefits to eating grass fed. Grassfed beef, grassfed lamb, and free range poultry have a better balance of omega 3 to omega 6 fatty acids than grain fed. They are also lower in saturated fats, cholesterol, and calories than grain fed. This means a simple switch from grain fed beef to grass fed could result in a leaner healthier you. According to Eat Wild, the average person could shed 6 pounds a year switching from grain fed to grass fed. Eat Wild reports: "A 6-ounce steak from a grass-finished steer can have 100 fewer calories than a 6-ounce steak from a grain-fed steer. If you eat a typical amount of beef (66.5 pounds a year), switching to lean grass fed beef will save you 17,733 calories a year—without requiring any willpower or change in your eating habits." Higher in cancer fighting CLA. Why Organic Free Range Chickens? Free range egg yolks are a brighter orange color due to higher levels of carotenoids. At Thankful Harvest we let our chickens forage for food in pastures when it is seasonally appropriate, and they are given a certified organic, non-soy diet. Why Raise Organic Grass Fed Herds and Flocks? 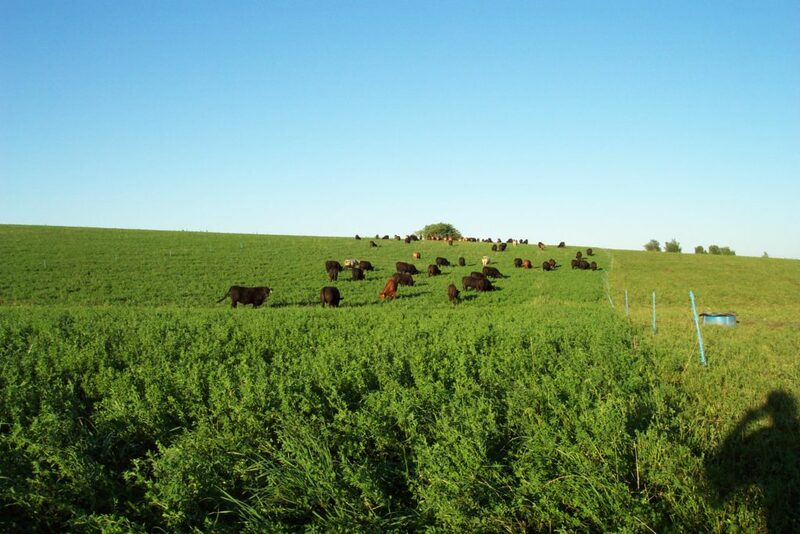 We think of pasture based farming as a living and learning collaboration with creation. Much of what we do is based on traditional, centuries-proven methods of plant and animal farming. This is why grassfed farming has become a passion for us. We use the latest information available to help us perfect our farming methods..
We select pasture grasses and legumes that will succeed on the particular soil types on our farm. Our practices support the biodiversity of plants, as well as the microbiology, birds, and wildlife that use the pastures for habitat. Every aspect of our life is focused on creating the healthiest food source for your family. This is why grassfed organic meat and eggs from Thankful Harvest are the right choices for you.